Here at the Australian home of this unofficial Subaru WRX web site, we offer our sincere condolences to the people of Japan, New Zealand and all those affected by the recent earthquakes. Our thoughts are with you at this time. 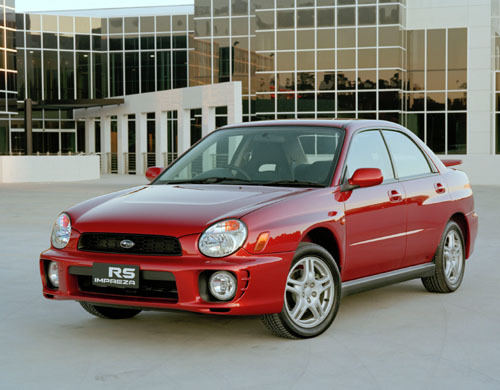 The 2002 Subaru WRX, is currently available as a sedan and Sport Wagon, is powered by a 2.0-liter, 227-horsepower turbocharged intercooled engine. 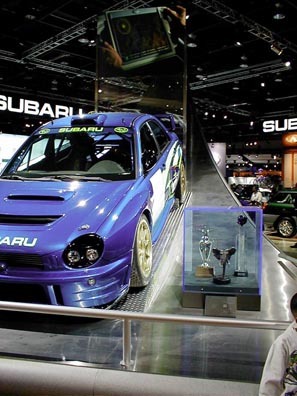 The prototype for the 2003 Subaru WRC as displayed at the Paris motor show has many improvements over last years race car. The suspension, engine and aerodynamics have all been changed. 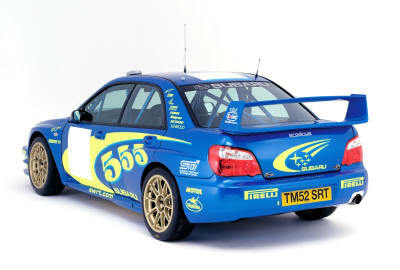 Peugeot has dominated recent World Rally Championship races and this Impreza is the first step to even the competition. The body shell is lighter and stiffer and includes a new roll cage. NEW WRX DESIGN IS REVEALED IN PARIS ! ! The new design of the Impreza and WRX has been revealed at the Paris Motor Show on the 26th of September in the form of the high performance STi model. Take a look at the photos below! 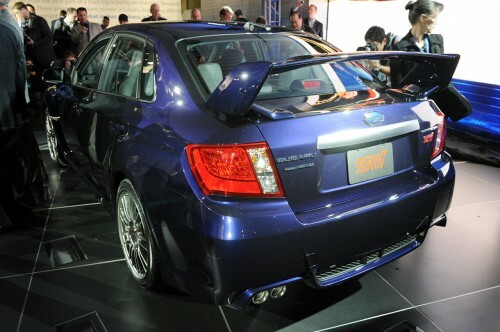 Left: The big wing for the STi will not come with the standard WRX. Right: The photos on the right and below have been circulating the internet for a few days now. They reveal the significant facelift to the controversial round headlights of the 2001 model. The new headlights are more rectangular and the corners actually dip into the bumper. Does it look a little like the Liberty? Other changes include a new bonnet/hood, Front and Rear bumpers, and tail lights. As shown in the photo above, the rear wing remains unchanged in the standard model. The STi model will have a new smaller Momo steering wheel and a higher air intake for the intercooler. It has been reported that the new model will also include some extra safety features as well. More news will be published on this site as it arrives. In the meantime, let us know what you think and Stay tuned! 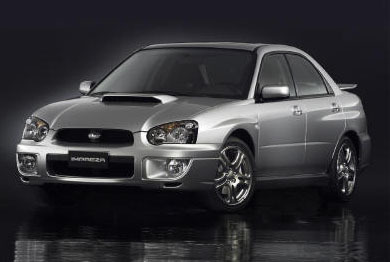 www.subaruwrx.com has secured a deal with totaladvance to provide a special offer exclusive to visitors of this web site! 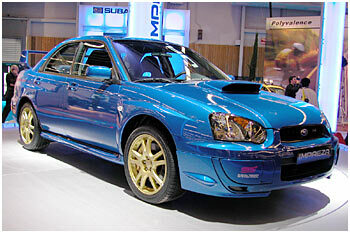 I have sources at Subaru that has heard that the 4 door WRX Sti could be available in the USA by Fall of 2003. They also mentioned that the car would be built in such a low volume for the USA that they would probably be all special order cars. They had also mentioned the USA branch of Subaru has asked the Subaru Japan to consider making a two door version for the USA. 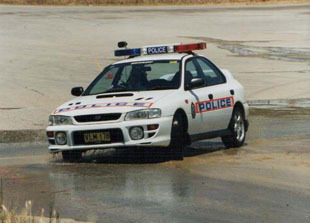 This is similar to the initial release of limited edition WRX's sold in Australia during 1999. The Demand always outstripped supply and the limited editions have alway been a success. This rumor is no great surprise. Let's hope it's true! There have been no photo updates to this site for a while now. Why? 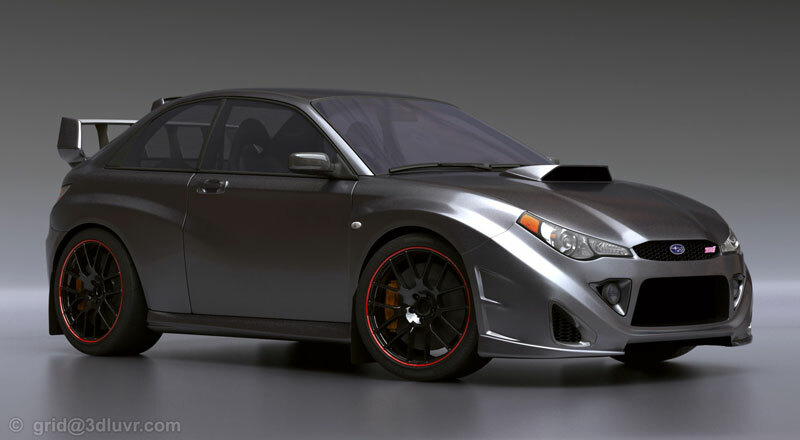 because we are eagerly awaiting the new design WRX. 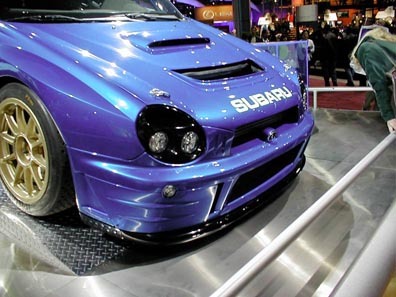 There could be a facelift to the Impreza front end before the end of this year or early next year! The car will be unveiled at the Paris Motor Show in September. Japanese sources say that the headlamps may have a new styling along with a totally new nose and changes to the rear end. How exciting is that? Stay tuned for more information. 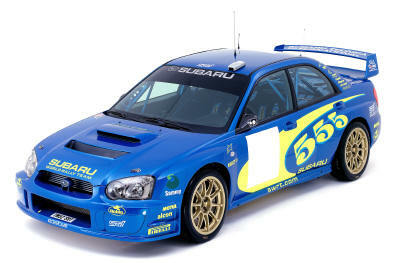 Greek design guru Andreas Zapatinas will move to Japan next month to work with Subaru to design the new Impreza for 2006. 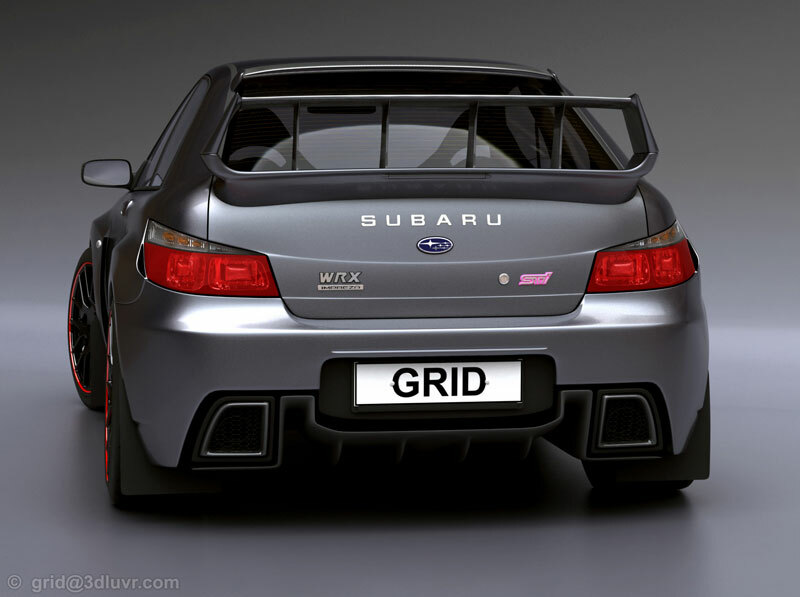 The current WRX design has been extremely controversial since its initial release in 2000 and many see that this appointment is an admission by Subaru that the current design is a failure. Most would agree that the current model would receive full marks for performance and handling but its disappointing sales figures are the result of general public opinion that it looks ugly. 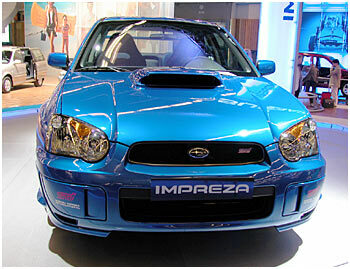 Zapatinas will be the "chief designer" and will be in charge of all new models at Subaru for the next generation. 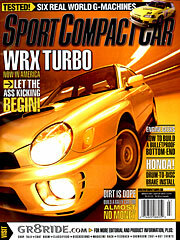 The 2003 WRX in the USA? 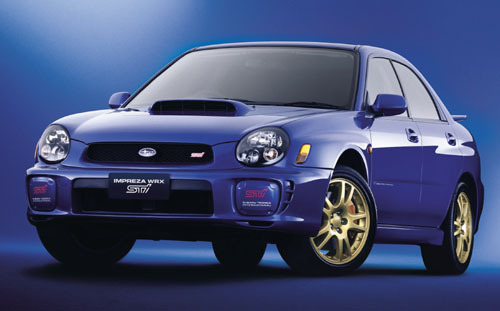 "We do not yet have the specifications or changes in store for the '03 WRX and we will not have this information until late this Summer, as the '03 WRX models should begin to arrive at Subaru dealerships in August. Please feel free to contact us again at that time. Best wishes!" So there you go. Call your dealers in August for the latest info! The latest news on the STi in the USA! 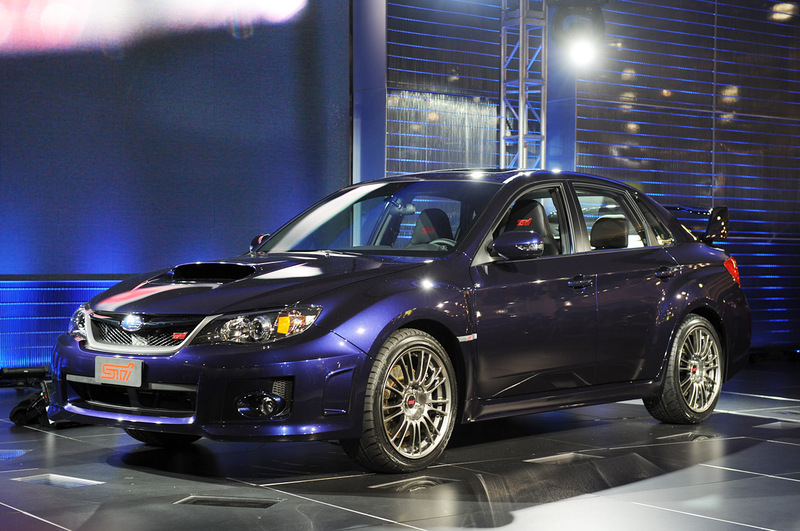 "Subaru is considering the feasibility of an STi version of the WRX for future model years. But, we do not have any definite plans at this time. If an STi version of the WRX becomes available in the United States, it would probably not be for a couple of model years. Since we have only introduced the WRX in the US a little more than a year ago, it is too early to confirm the likelihood of offering an STi version in the US. We appreciate that you took the time to contact us. I will forward your suggestion to offer an STi version of the WRX in the US to our Product Planning Department for their review and consideration. Thanks again!! Thankyou to John M. from Subaru of America for giving a me quick straight answer to the question: "Is the STi coming to the USA". 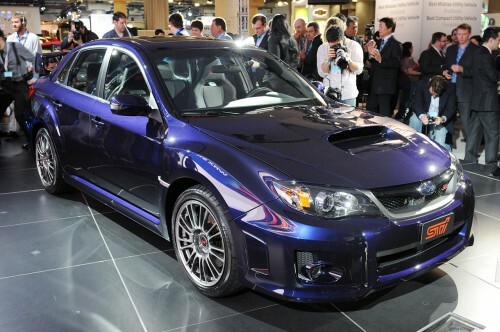 I am sure that the news will be disappointment to many WRX fans in the USA. I guess you know what they say: "All good things are worth waiting for". At this stage I will not try to speculate but one thing I know is true is that there is huge demand for the STi based on the number of emails I have been receiving from WRX fans. Stay tuned for the latest news and keep your fingers crossed. 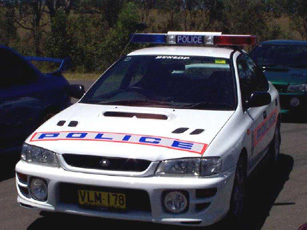 All Australian WRX owners with vehicle models 1999 to 2001 have been offered free engine immobiliser upgrades to provide a higher level of theft protection. 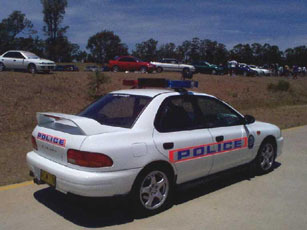 Since August 2001, the number of thefts of WRXs has tripled in Australia. Most of the thefts have been carried out by professional car theives with the ability to crack the old immobiliser system. The cars which are stolen are generally never recovered. This public relations exercise is good for the existing WRX owners and prospective buyers who are struggling to justify the high insurance costs of owning a WRX. The new immobiliser system incorporates a numeric keypad pin number system which must be keyed in to start the engine. It also incorporates a sophisticated anti-hijack feature which is designed to prevent a thief from getting too far with the vehicle if the driver was forcibly removed. The upgrade is available through authorised Subaru dealerships and is expected to cost Subaru Australia more than $1AUS million. Subaruwrx.com is now affiliated with carsdirect.com. Please read our links section to find out more. Or click on the link below for the best online car site on the net. 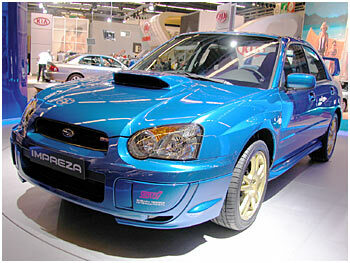 Subaru has added a new 2.5 Liter variant, to the Impreza range. The addition of the RS means that Subaru now offers a broad All-Wheel Drive Impreza range which now consists of the 2.0 Liter normally aspirated GX, RV and RX models, plus a 2.5 Liter RS and of course the turbo-charged 2.0 Liter WRX. 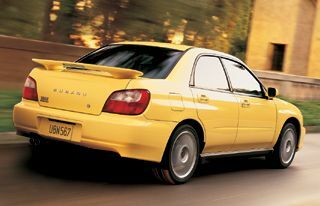 Subaru Australia has identified a demand for a more powerful Impreza so the 2.5 litre engine used in some of the Libertys and Outbacks, was added. Engine: The 2.5 liter horizontally opposed boxer engine produces 112kW of power at 5,600rpm and a class-leading 223Nm of torque at 3,600rpm. 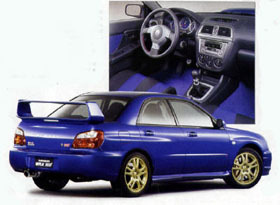 Impreza RS engineering refinement. Impreza RS fuel tank capacity is 60 litres, up from 50 on 2.0 litre Imprezas. Interior: Sports interior, including bucket front seats and a Momo leather steering wheel. Exterior: Five-spoke 16-inch silver alloy wheels. Minor changes to the entire MY02 Impreza range include the addition of a window-integrated radio aerial and an outside temperature display. 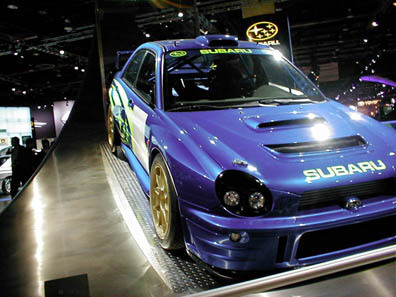 Subaru of America, Inc. has created a one off, 2002 Subaru Autograph Edition Impreza WRX featuring autograph signatures from, Andre Agassi, Venus Williams, John McEnroe, Chris Evert, Patrick Rafter, Jennifer Capriati, Lindsay Davenport, Jim Courier, Steffi Graf, Pete Sampras and more (wow!). 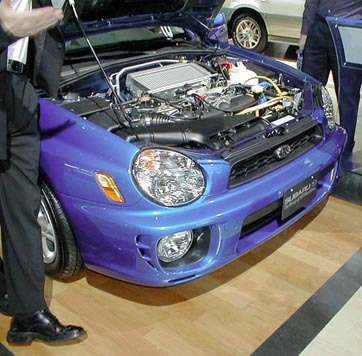 The Subaru Autograph Edition WRX has been auctioned off to the highest bidder at a player's dinner in Bellevue, Wash. on October 6th, 2001. All proceeds will benefit patient care and research at the University of Washington Medical Center Breast Care and Cancer Research Center. The WRX Autograph Edition features a wild, tennis theme interior and exterior set against a blaze yellow paint job together with autographs on the outside. Look pretty cool? 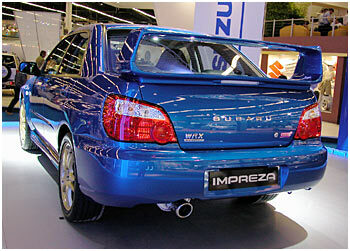 Subaru Australia has launched the 2002 model Impreza WRX!! So what's new?? The main difference is the closer ratio gears in the manual version. The gear ratios have been revised for improved driveability for Australian conditions, and produces increases of up to 16 per cent in in-gear performance. Final reduction gear ratio is now 4.444 compared to 3.9 for the MY01 model. The automatic WRX features a gated selector. 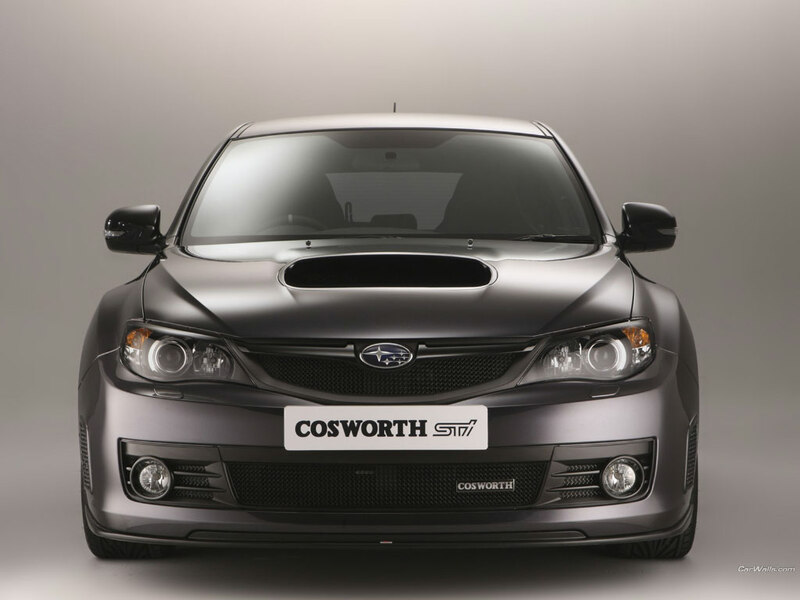 For security, the keypad alarm, linked to the immobilizer, is the same sophisticated system used in the recently-introduced Liberty B4, taking Impreza WRX security to new heights. * Data independently collected by the RACV. Other changes to the entire MY02 Impreza range include the addition of a window-integrated radio aerial, an outside temperature display, keypad alarm linked to the imobilizer and automatic transmission is now an option. The long-awaited Subaru Impreza WRX STi made its Australian motor show debut last week, prior to its local launch in December. 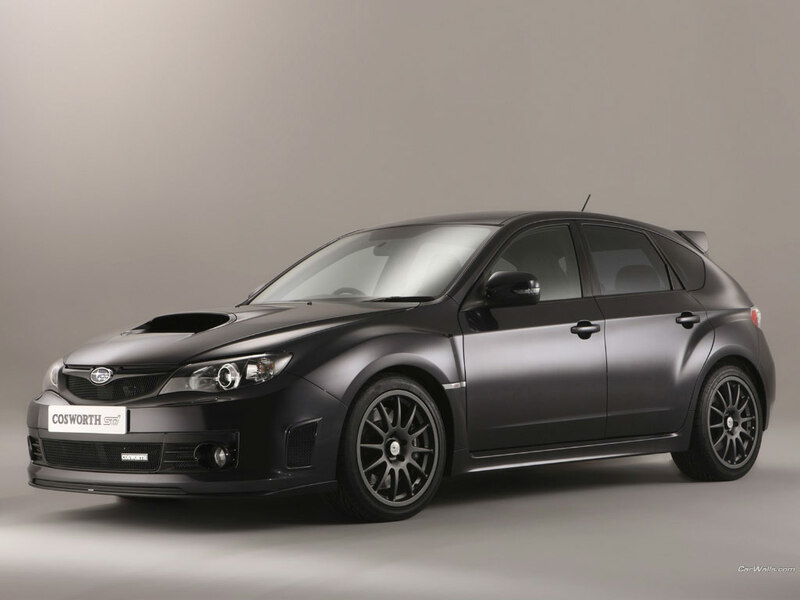 The 195 Kilowatt, 343 Newton metre STi will go on sale in Australia at $55,130. The Australian Impreza WRX STi will include front and rear Suretrac limited slip differentials, a close ratio six-speed manual gearbox and 2.0 litre turbo charged variable valve timing Active Valve Control System (AVCS) engine. It will be available in four colours and will be a permanent part of the Subaru range. I had the TV on in the background as the first newsflash came through. Over the next four hours until 2am, I watched the events unfold. I thought of my 3 friends in NYC and after a few phone calls, I heard they were OK. Here in Australia, our hearts and condolences go out to all of those who have been affected by this horrible act of terrorism. All of us here in the office and at home has spent time talking and reflecting on the events of the past few days, the sadness is almost overwhelming as if it happened on our very own front doorstep. All our lives have been changed forever. Take care and be at peace with each other. 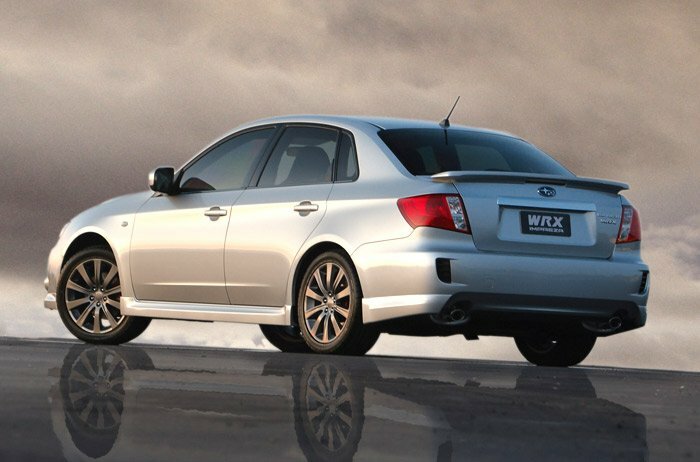 www.subaruwrx.com was closed between Sept 15 and 21. If you have been following this web site, you will notice that it has gone through a major upgrade. The "Archive" & "Products" sections will return soon and a new "Photos Gallery" section will be added during September. The B4 is here in Australia and more information on that is coming soon too. In the meantime, check out these new photos for the Detroit Motor Show taken earlier this year. 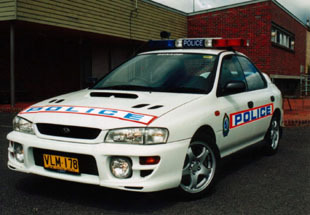 And have a look at the WRX police cars used in Australia. I've had numerous emails recently asking the same questions which I would like to try to answer. 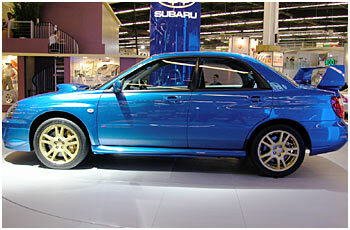 Is the Subaru Liberty B4 going to be released? Subaru has been taking orders in Australia for the Liberty B4 for some time now and they will arrive in August. At the moment there is no official answer regarding availability for the USA. 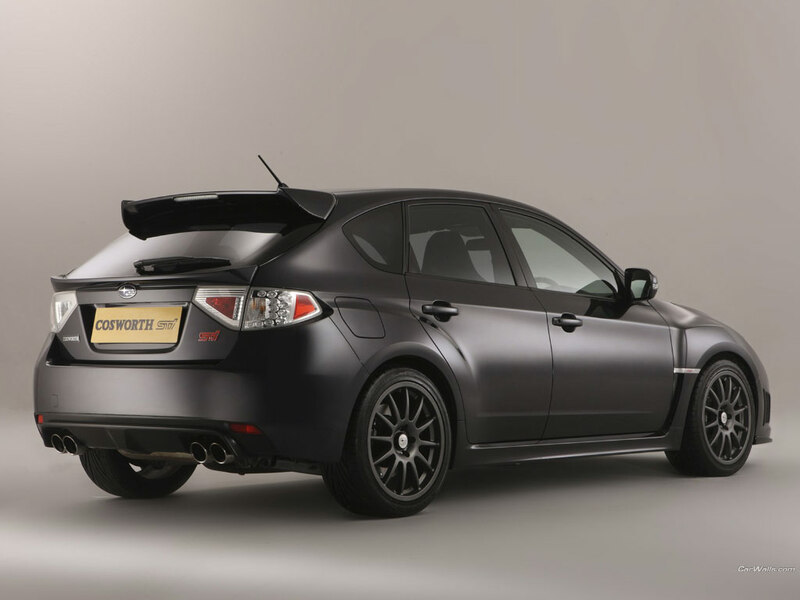 Is the STi version of the latest WRX going to be released? 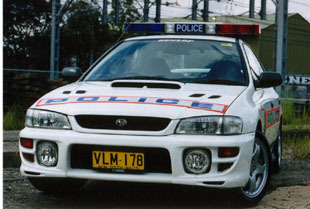 Updated: The New STi will be in Australia in December 2001. What a Christmas present! This means that there will be no doubt that it will be available in the USA at some stage within the next 18 months. What great news! Stay tuned for more information. Where can I get performance parts for the WRX? I know of a number of suppliers of performance parts for the WRX but I would like to research a little more before I publish company names. If anyone has any suggestions, let me know. What's the WRX like to drive? This is an easy one. Absolutely excellent!! That's coming from me...a proud WRX owner for 3 years now. Many have emailed me with the same opinion and I agree that it's not just the pure acceleration from zero to 60 but the handling and comfort of the car which kills its competitors. Some say that the Honda Integra Type R is the only thing which comes close for a similar price. 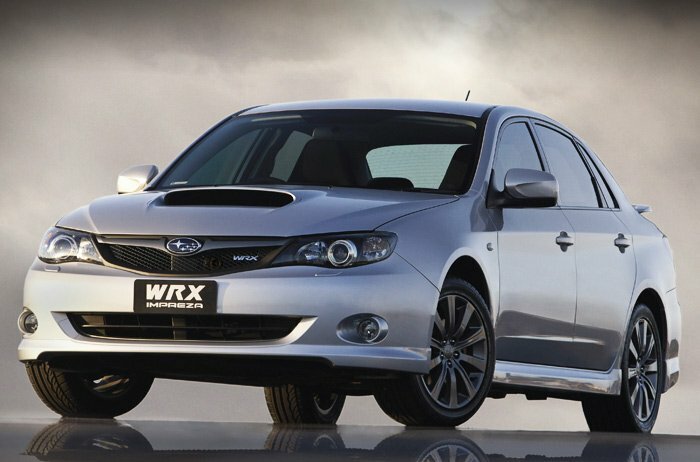 Where can I get the best deal for insurance for the WRX? Insurance for the WRX is a worldwide problem!! 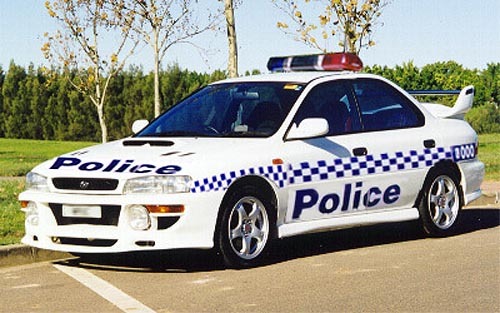 In general, the WRX is expensive to insure due to its high performance and the number of thefts (for the older models). All I can suggest is that you SHOP AROUND for the best insurance. Keep on drivin' and thanks for visiting. The WRX is a roaring success in America and there is no doubt that it will enjoy a cult following similar to that in Australia and the rest of the world. 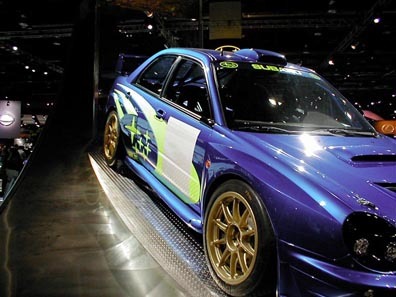 There were approximately 2000 WRXs sold in the first two weeks of release in the US and in one dealership, 158 were ordered in the initial shipment and 79 were pre-sold. As a result, Subaru will be shipping almost all Japanese factory WRXs to the USA during June, July, August which means that the rest of world may have to wait. Australia may get none during this time which may not be as bad as it seems due to a slowdown in sales in this region. Although only 205 were sold in Australia during April, Subaru has prepared for the shortage by ordering extra cars during the recent months. 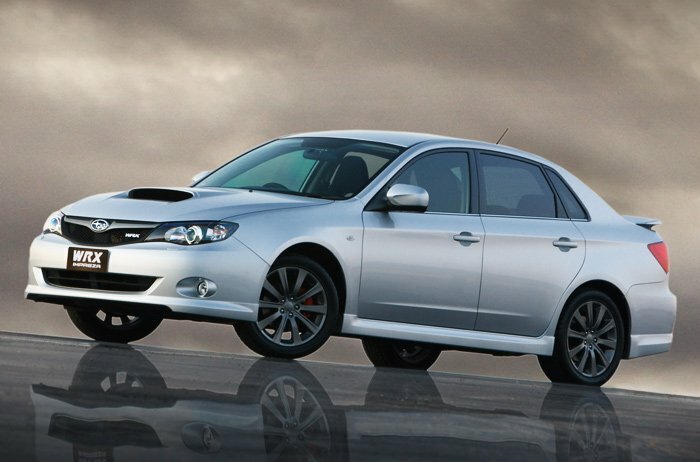 Australian dealers are finally taking orders for the Legacy B4. It will feature a five-speed manual transmission with sports leather interior and premium sound system. The performance: 0 to 100km/h in approximately 5.8 seconds! The price will be approximately $62,000AUS. ENGINE: Horizontally Opposed 2 Litre, 4 Cylinder Two-stage twin-turbo engine. POWER (AUS): 206W at 6500RPM AND 343Nm of torque at 5000rpm. POWER (USA): 280HP at 6500RPM AND ?? ?LB-FT of torque at 5000rpm.